As the festive season begins, the Renault Pulse hatchback is being offered with either Rs 40,000 cash benefits or attractive ROI of 4.49 per cent on the available stocks. Renault India stopped the production of the Pulse hatchback in India in July 2017. It was also available with a petrol and diesel engine. Its 1.2-litre, 3-cylinder petrol engine produced 76PS/104Nm, while the 1.5-litre diesel pumped out 64PS/160Nm. Both engines were coupled to a 5-speed manual transmission. While the petrol engine was offered in one only trim (RxL), the diesel was available in two - Rxl (ABS) and RxZ. Prior to the launch of the Kwid, the Pulse was Renault’s most affordable car in India. The hatchback is essentially the Nissan Micra in a slightly more upmarket avatar and has a higher starting price too. Does the added money just get you something different or something more? 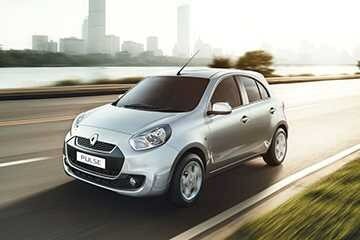 The Renault Pulse, standalone, is a great city car. Even more affordable cars like the Tata Tiago have entered the fray, so the Pulse is a hard sell. It’s easy to drive, efficient and fairly practical, but at its price, falls into the same category as more modern cars like the Hyundai Grand i10, Ford Figo and Maruti Ignis. 1.5-litre diesel engine offers great driveability and performance. Looks handsome and will stand out in a crowd. Well-designed, practical and spacious interior. No CVT petrol automatic offered like the Micra. ABS unavailable with petrol engine. The claimed ARAI mileage: Renault Pulse Diesel is 23.08 kmpl | Renault Pulse Petrol is 18.06 kmpl.